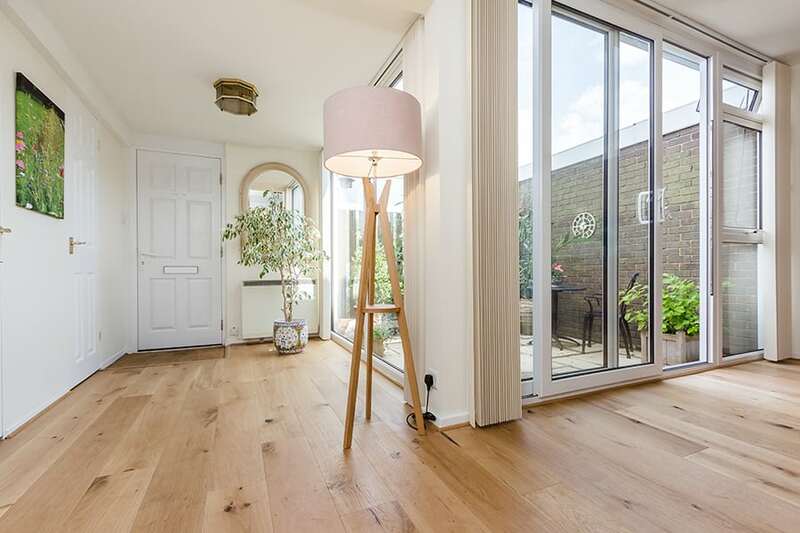 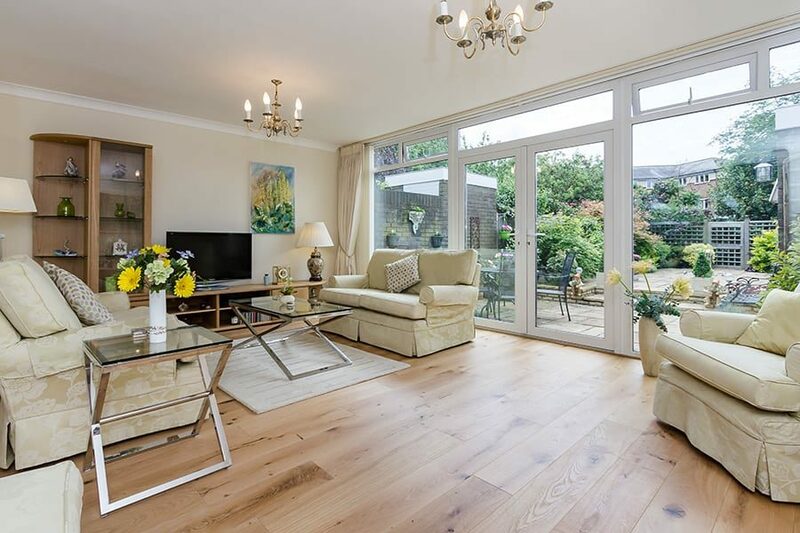 Located just moments from The Long Walk, the iconic route that leads up to the entrance of Windsor Castle, this 1960’s built terraced home has been given a modern facelift featuring Alpine Oak Rustic Oiled wood floors. 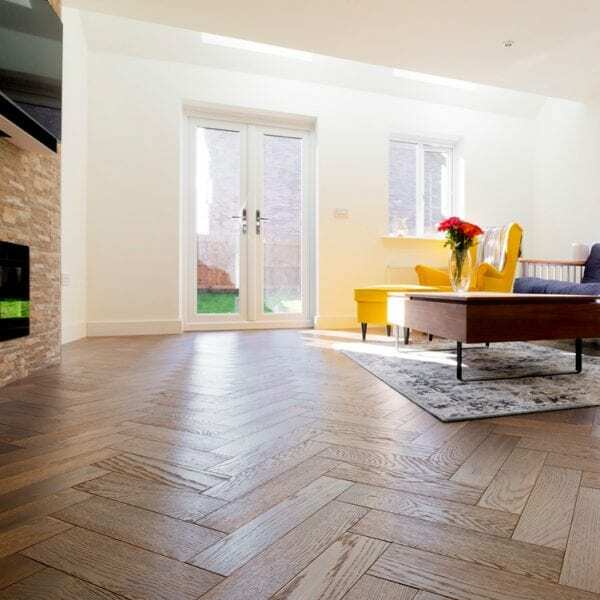 Owner Alison Jones was keen to open up the living spaces of the Windsor home to take advantage of the abundance of natural light that floods the home from both front and back elevations, and introduce a contemporary meets country style interior in the home. 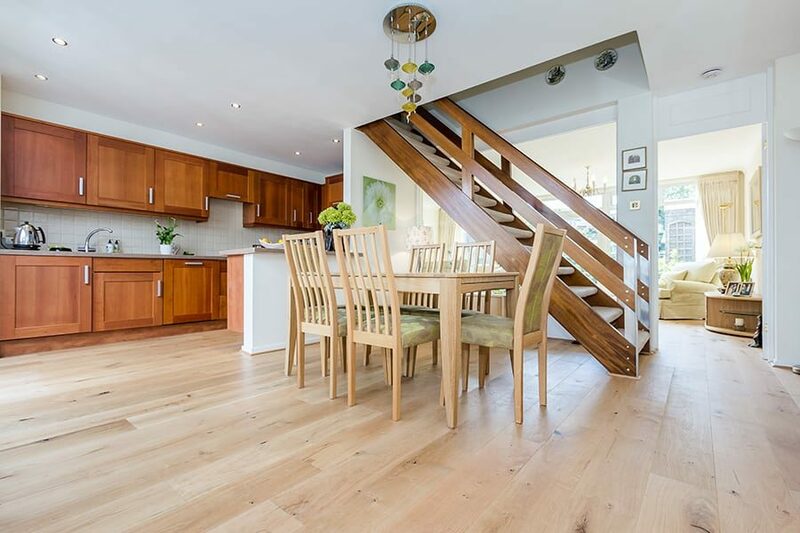 Moving the central staircase that separated the kitchen dining and living room spaces would have been a major structural challenge so instead the staircase has become a central feature, with side walls opened out and a large central glass wall allowing the natural light from both ends of the house to flow through and give a more open plan feel to the home. 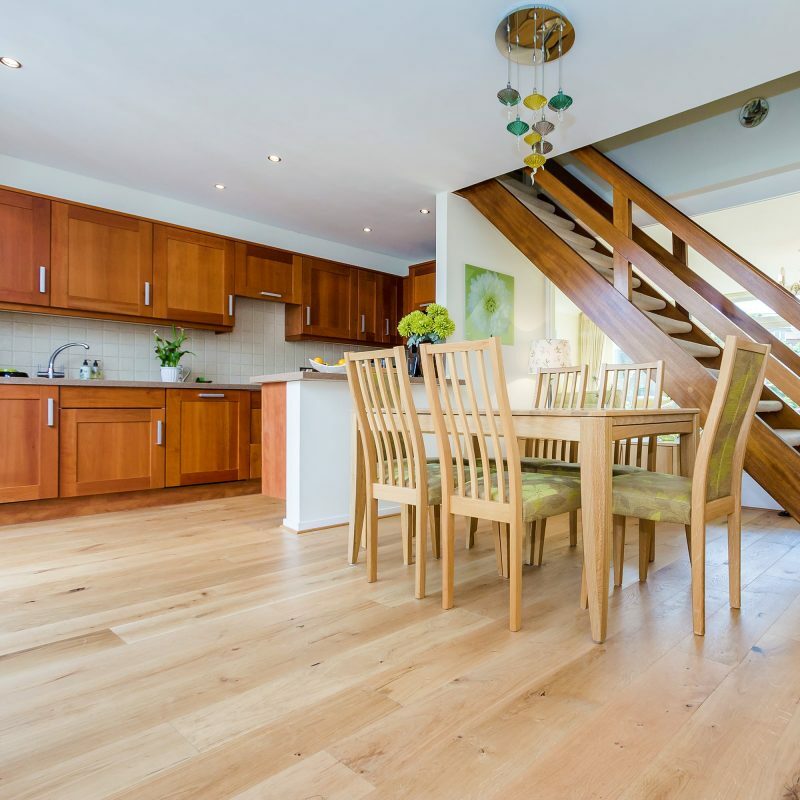 Entering the home the hallway benefits from full height windows which wrap around to the dining space, creating a natural and bright welcome. 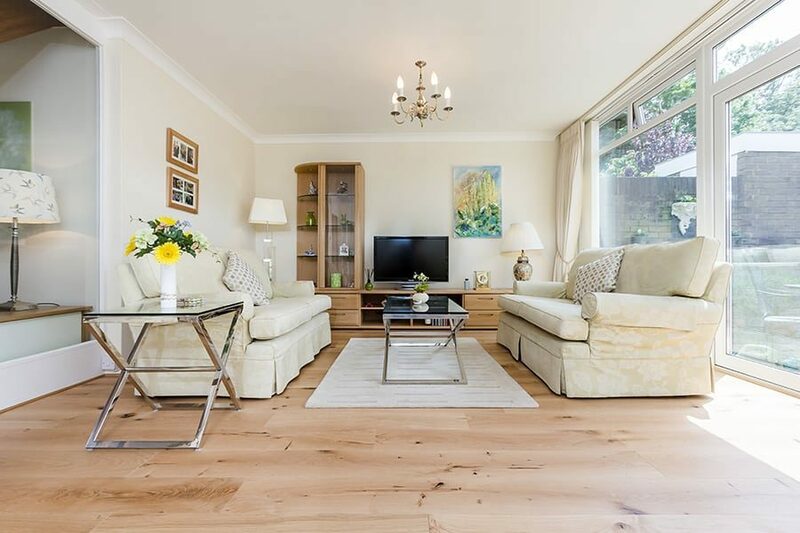 This natural feel continues in the living room area where light and neutral décor features. 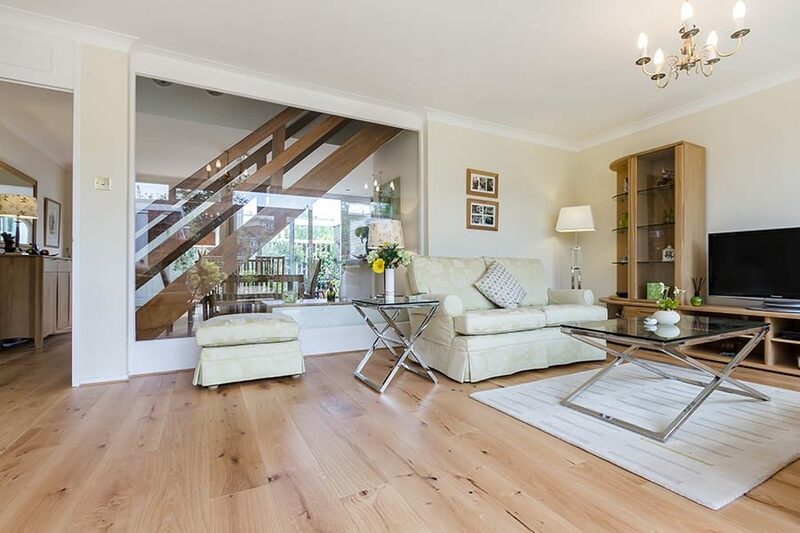 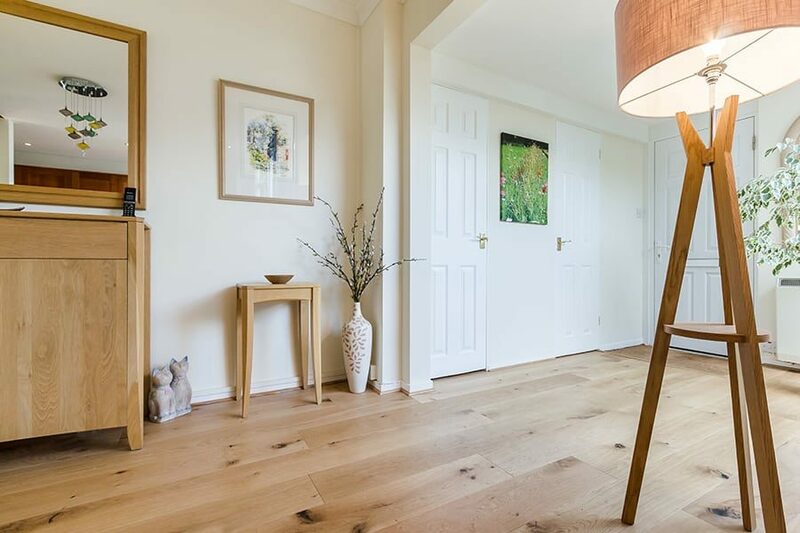 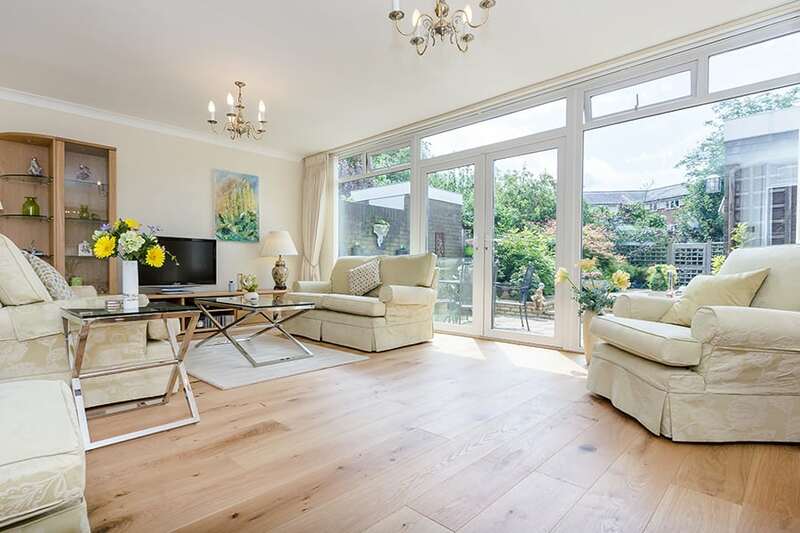 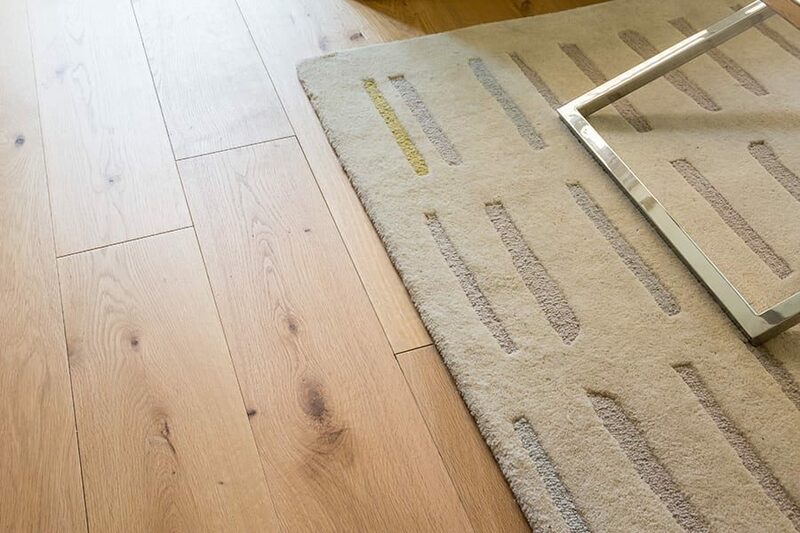 Keen to have the same type of flooring throughout the downstairs of the home to promote a seamless flow and open plan style, Alison started looking for the ideal wood floors. 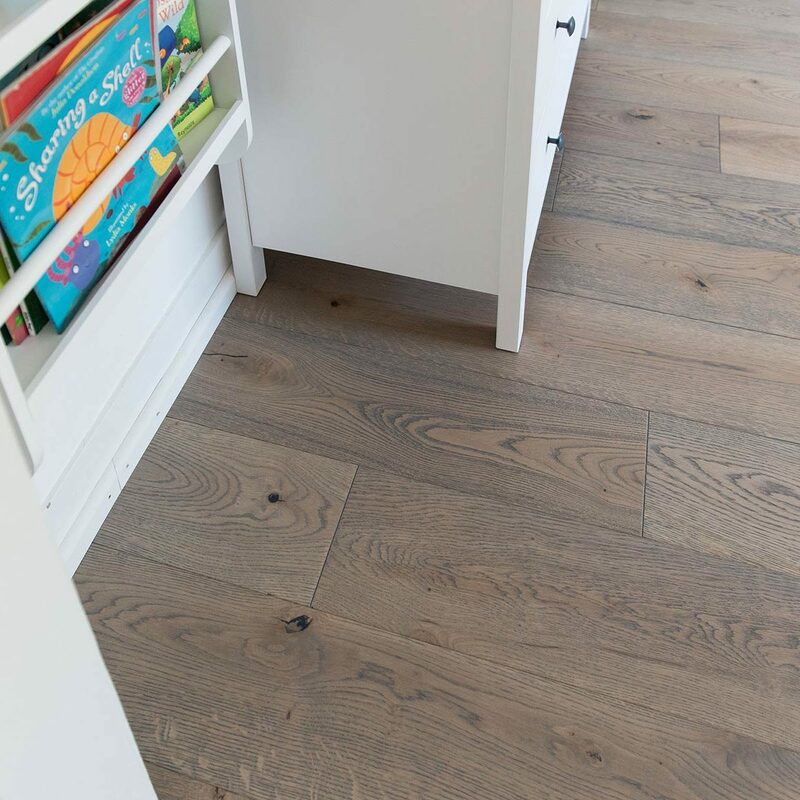 In keeping with the décor she wanted a wood floor that was smooth and contemporary, but maintained some classic oak charm. 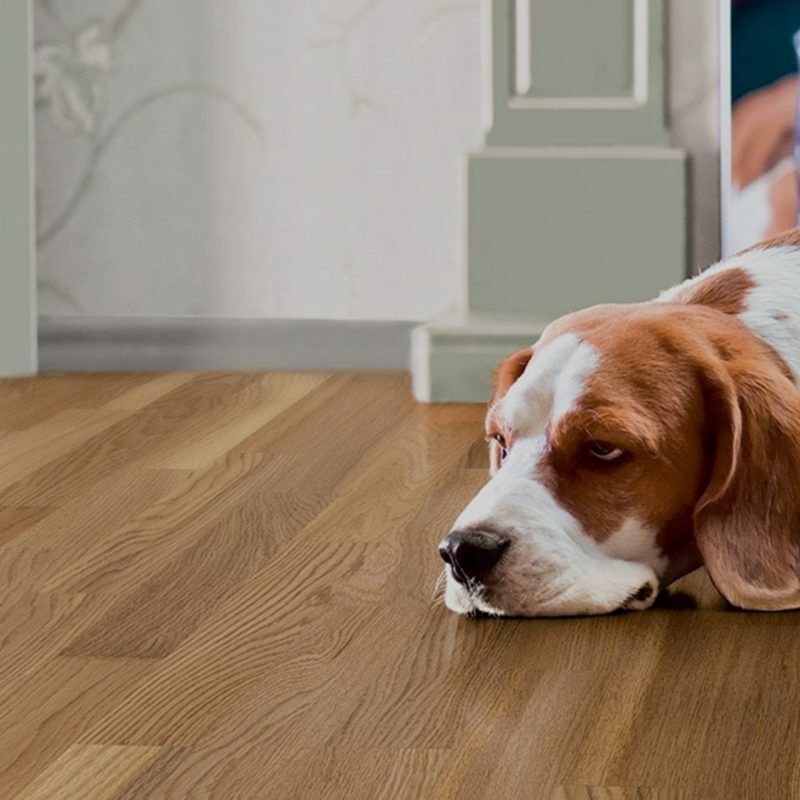 Alpine Oak Rustic engineered wood floors were selected. 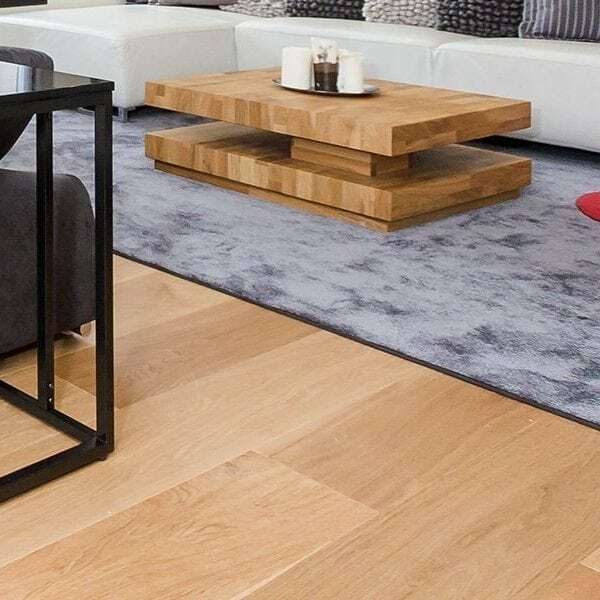 Minimalism is key with these oak boards. 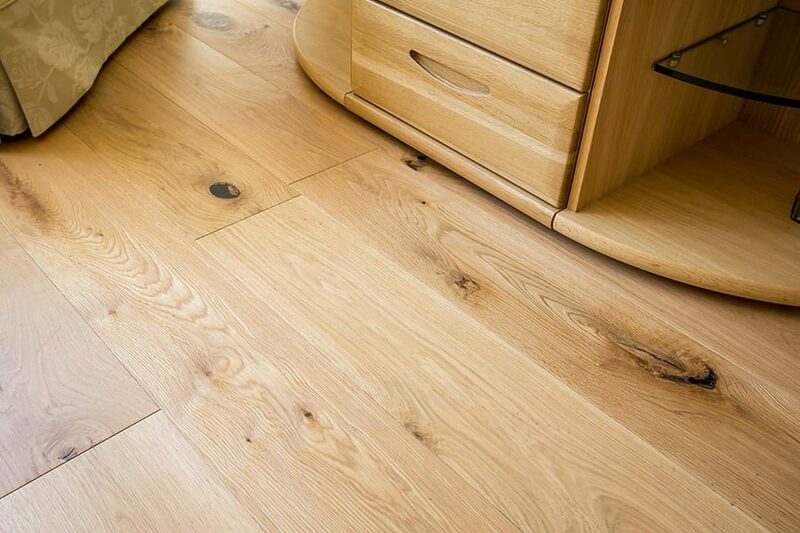 The oak rustic surface has been smooth sanded then buffered before being sealed with 4 coats of UV cured natural oil. 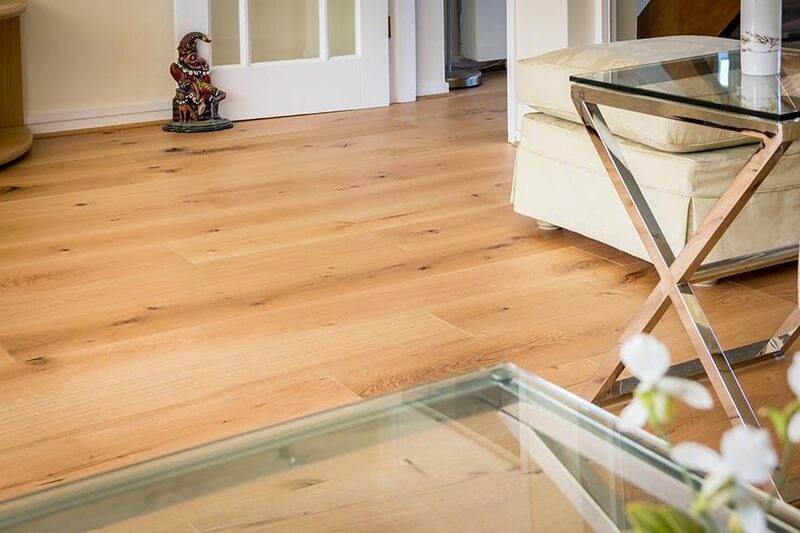 The treatment gives the boards a hardwearing, natural sheen which was perfect to reflect all of the natural light that floods through the finished home.